An Australian residen Mr. Scott Doolan (28) becomes first paraplegi to reach Everest Base Camp. He was paralysed after a severe motocycle accident when he was 17. This week, he became the first paraplegic to reach Everest Base Camp on his own. He made about 65 kilometers trek in 10 days. 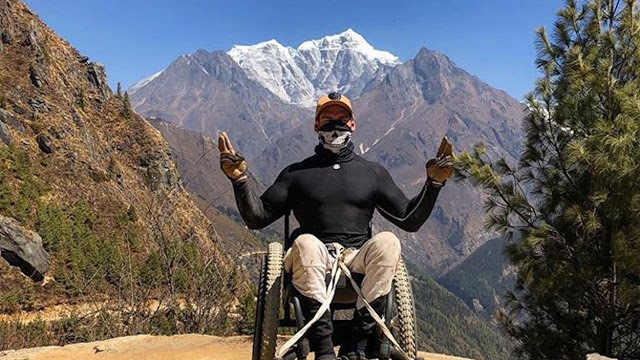 For the trip to Everest Base Camp, Doolan used a super light carbon fibre wheelchair. 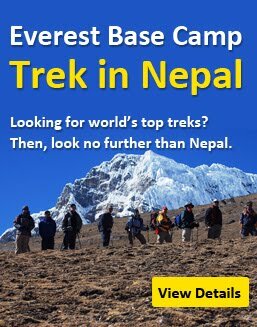 Doolan started training to get ready for the Everest Base Camp Trek after three years of getting accident. His keen interest makes himself a recorder.